Hello again folks, the newest edition to my collection are these fine chaps. So my army is going to be full drop assault, so the terminators are going to drop down in a nice blob curtesy of the teleportarium. First issue, they'll be in aforementioned blob, prime for ap2 blast, yes I'm looking at you plasma destructors. Second, I'm not using nuncio vox's, I really can't see the bloody 12th being sane enough to bother. That all said, still excited to use them. Model wise, a joy to paint. Was really nice painting something other than a regular marine and following on from the dreadnought I was inspired to try some larger models. 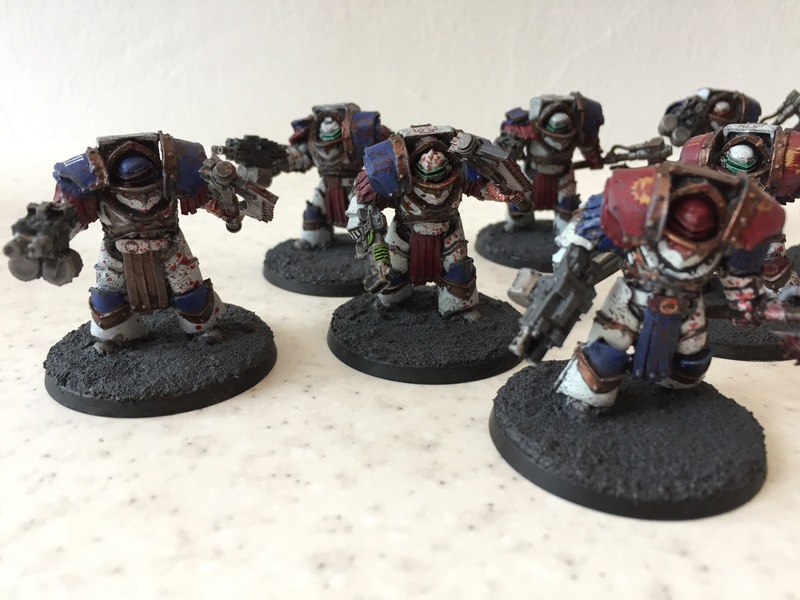 I'd say the main thing with these was that they began life as Iron Warriors, I just repainted them. 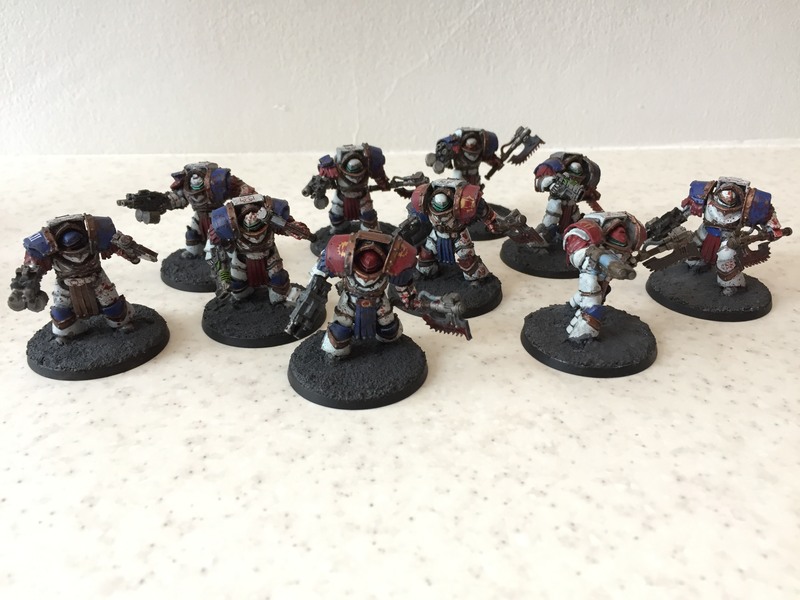 I had 30+ Cataphractii for my IW and when the Tyrant Siege Terminators (FINALLY) came out I thought I really didn't need that many. To be honest if I ever change my mind, I'll just have to get some more. 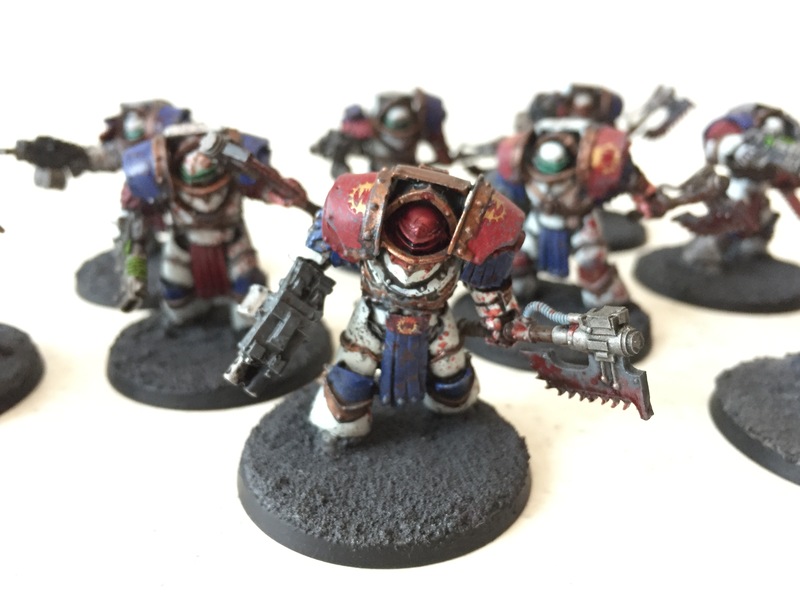 They look great, i like the red touches of armour, like they are falling to their post-Heresy scheme.